We didn't have a special guest on this week's show (believe us, we tried), but instead we were surprised by the appearance of a travelling Shawn and welcomed our new member, Kerry Dixon, to the SDConCast crew. She's a natural! 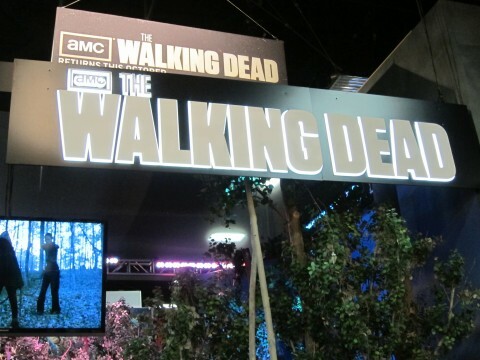 We're in full Comic-Con swing with tons of news, panel reveals and tips from the pros. The truth is definitely out there! SuperShuttle Offers Discount Code for SDCC Travelers! Extra! Extra! Read all about it! This week we welcome two great guests: Rob Salkowitz, author of Comic-Con and the Business of Pop Culture, and Heidi MacDonald of The Beat and Publishers Weekly, to talk comics and San Diego Comic-Con. And Jeremy, James and Kim round up the week's news of panel announcements and offsite events. 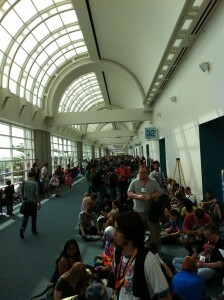 It's like cat herding, SDCC-style! The SDCC train is full steam ahead, with Jeremy, James, Shawn and Kim along for the ride. Tons of news on panels, exclusives and offsites to talk about, and a BIG giveaway announcement at our reader meetup. And we welcome another great guest to the show, Eric Goldman, Executive Editor for IGN TV, to talk about which television shows we might be seeing in Ballroom 20 and Hall H.
Today we bring you a very special episode - our interview with David Glanzer, Director of Marketing and Public Relations for Comic-Con International. 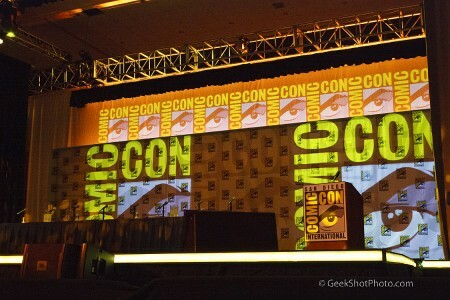 You know, the organization that is responsible for all the awesomeness that is San Diego Comic-Con? We ask him our readers' most pressing questions: Why the badge giveaway? When will the programming schedule be released? Why do shows like Castle not make the cut? And more. David doesn't only just work for CCI, he's a fan just like the rest of us. So rest assured that he's looking out for all of us in making this year's convention the best ever. After listening to this interview, we're sure you'll agree. We thank David and the CCI staff for making this interview possible. Shawn and Kim rejoin James and Jeremy to talk the SDCC news of the week. It's a good thing because frankly there's more fresh news than two grown men can handle. Panels! Exclusives! Offsites! Oh my! 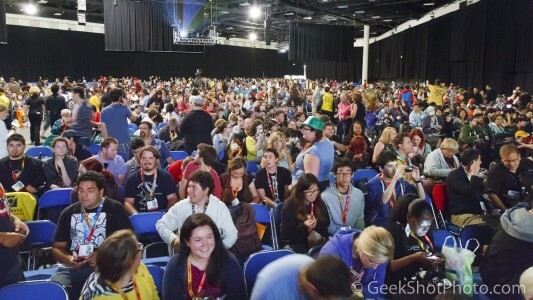 Best of all, we talk with Germain Lussier from Slashfilm.com on what we can all expect to see in Hall H this year (hint: not a certain mouse). 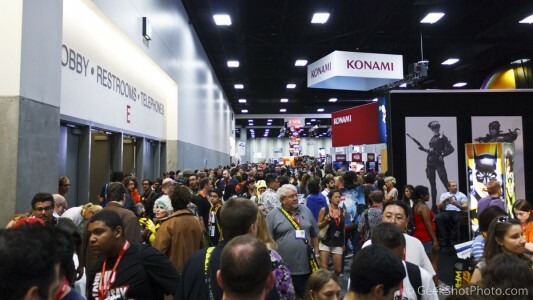 SDCC Badge Resales Soon – Get Ready!